Dyvacat, & Graffiti Bleu host “Rhythm & Poetry” every Thursday night. Every Thursday there is an Open-Mic for authors, poets, musicians, emcees & vocalists. 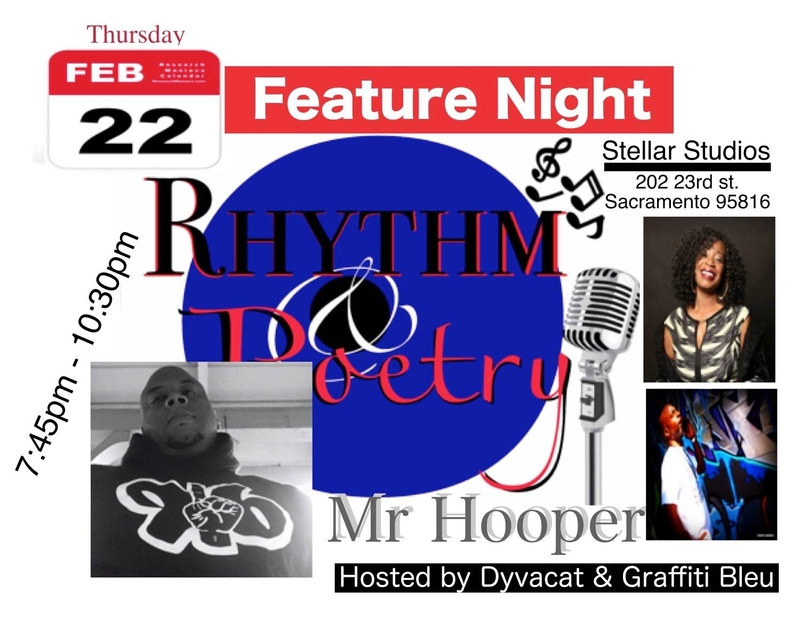 On February 22nd “yo emcee” Mr. Hooper will be the featured act. Mr. Hooper will be accompanied by his 3 piece line up.